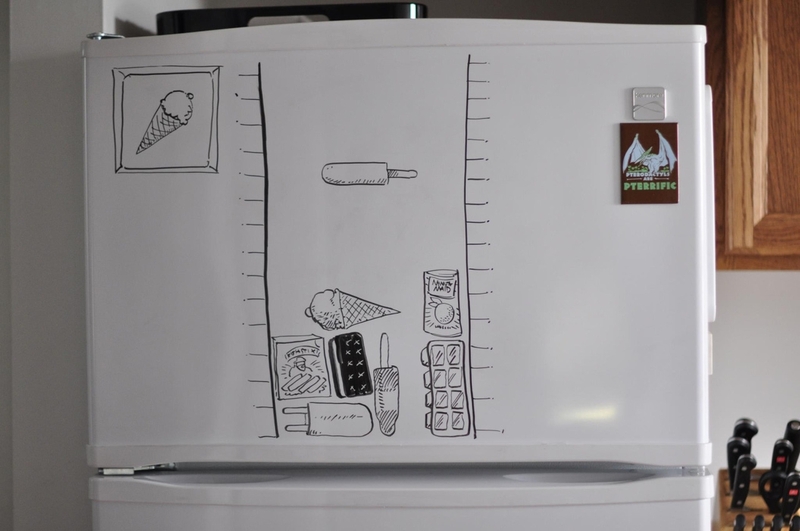 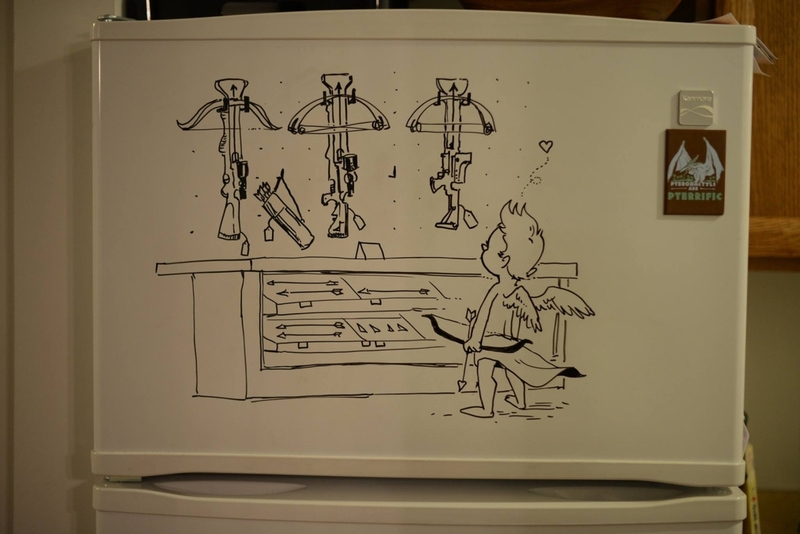 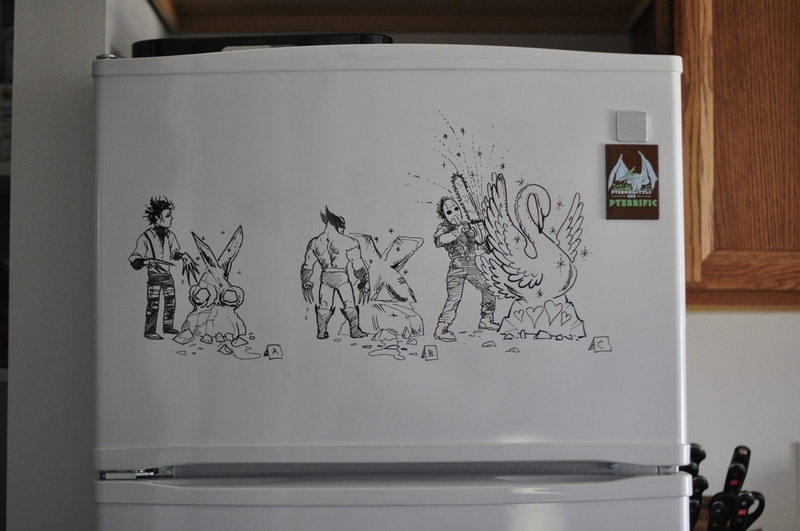 Interesting and funny Drawings on the freezer door. 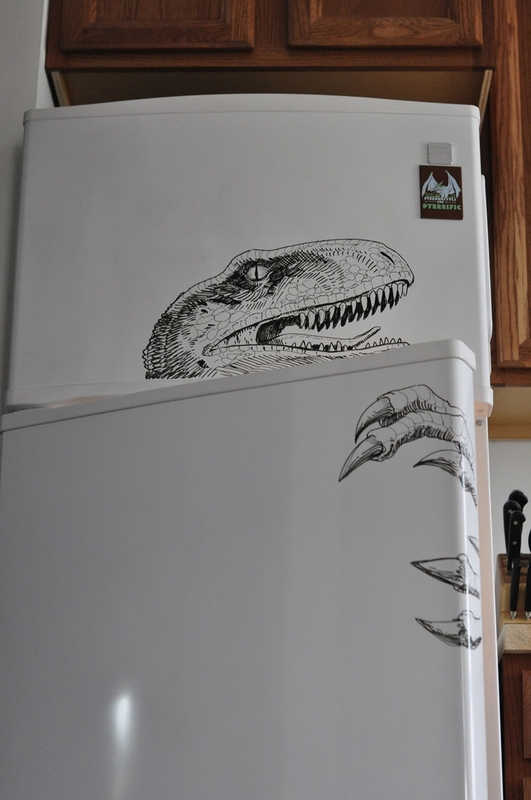 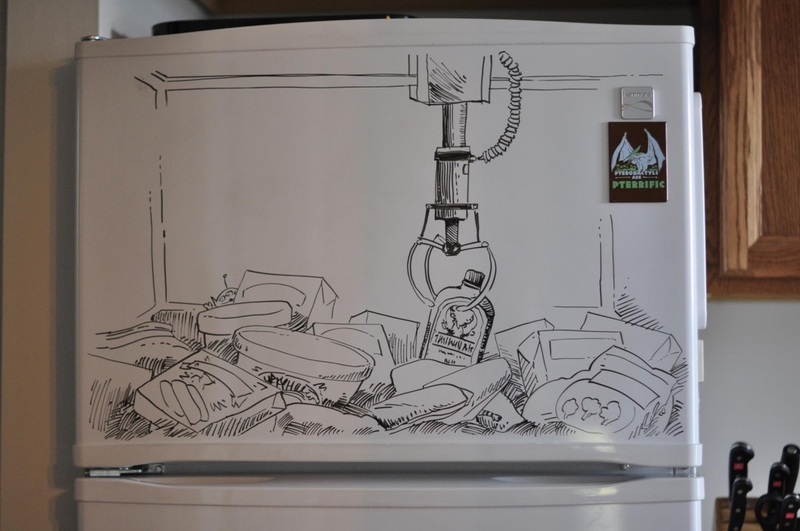 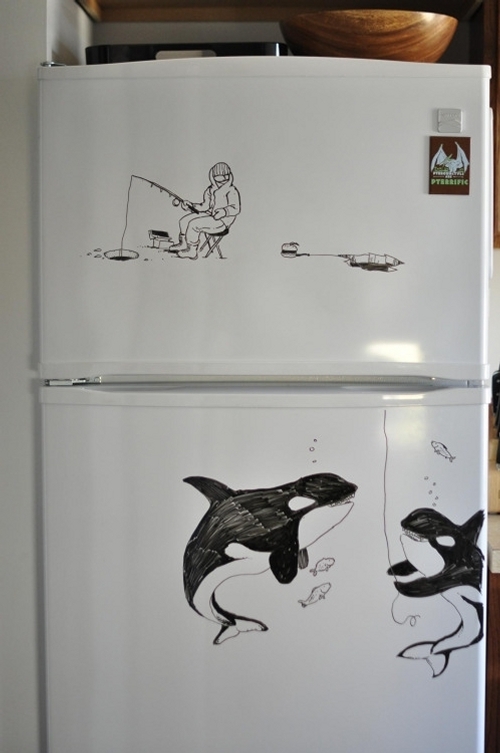 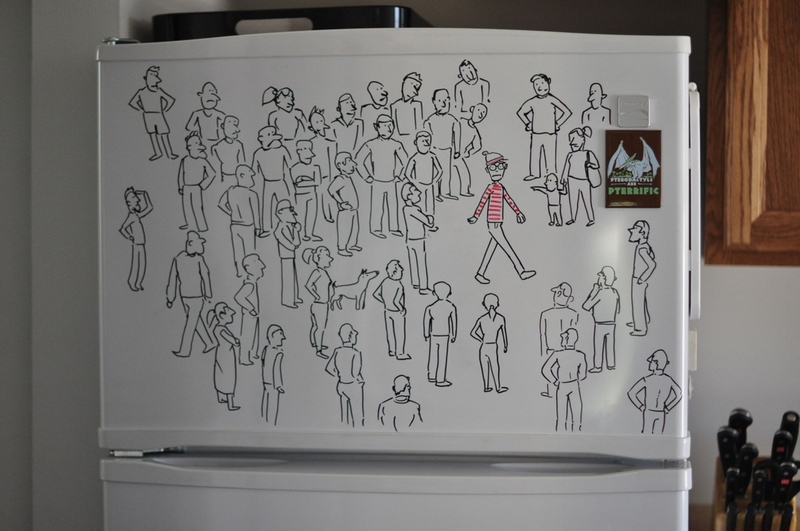 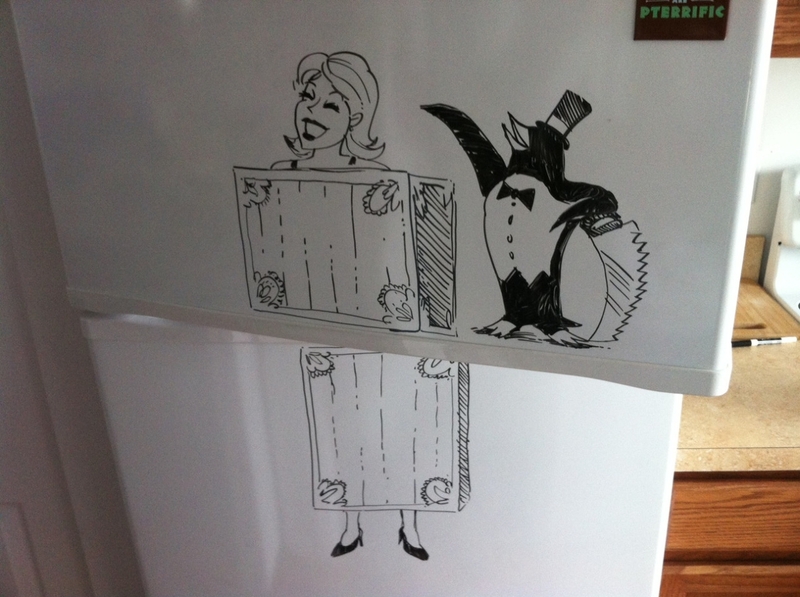 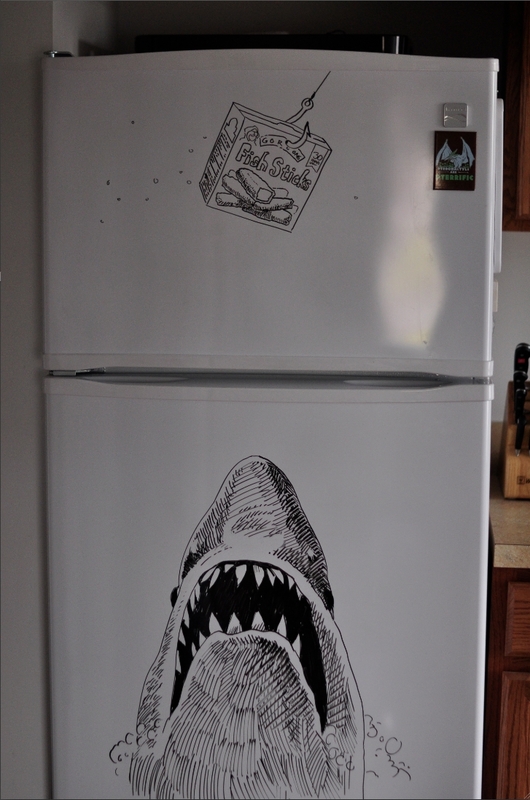 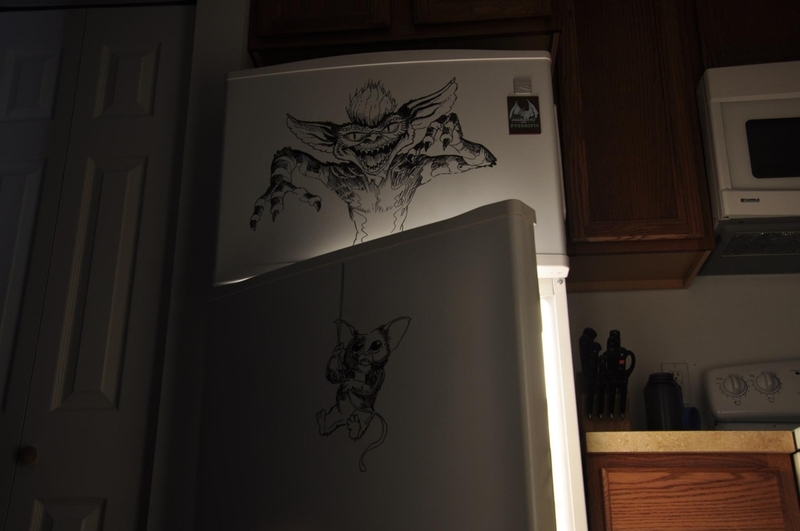 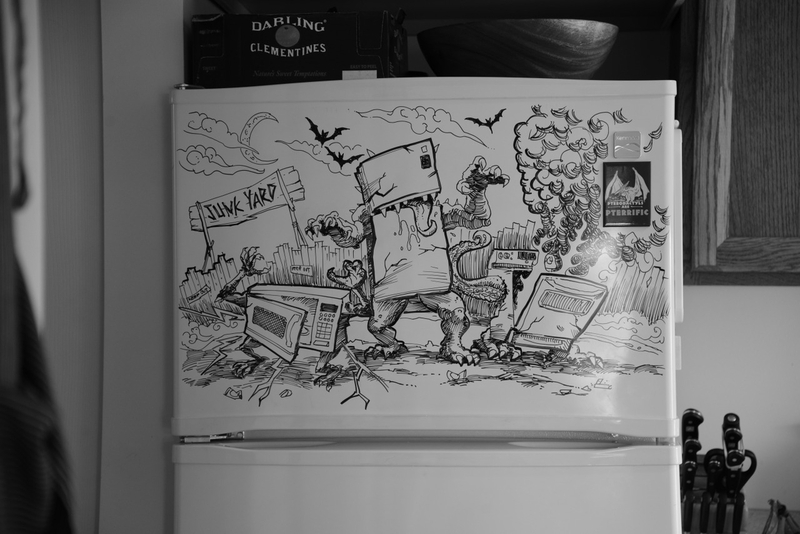 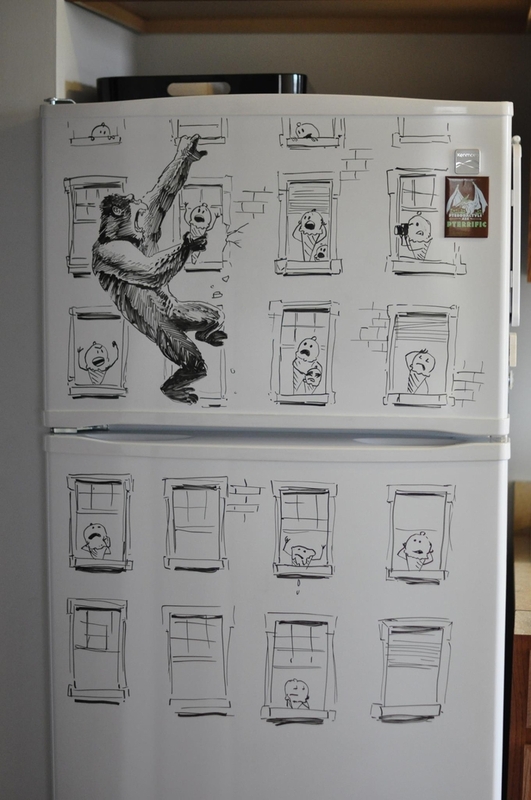 This was one of Charlie Layton's projects, drawing a clever scene on his fridge freezer doors every Friday. 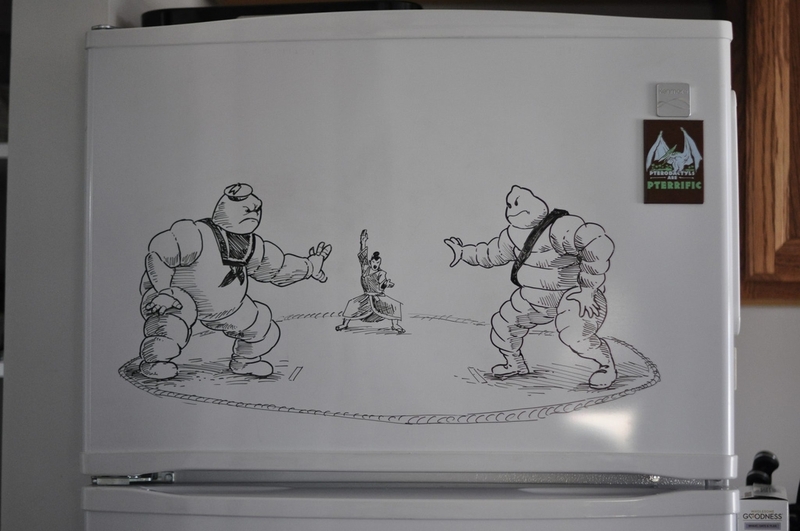 Layton is an American professional illustrator and has worked for numerous advertising and marketing agencies. 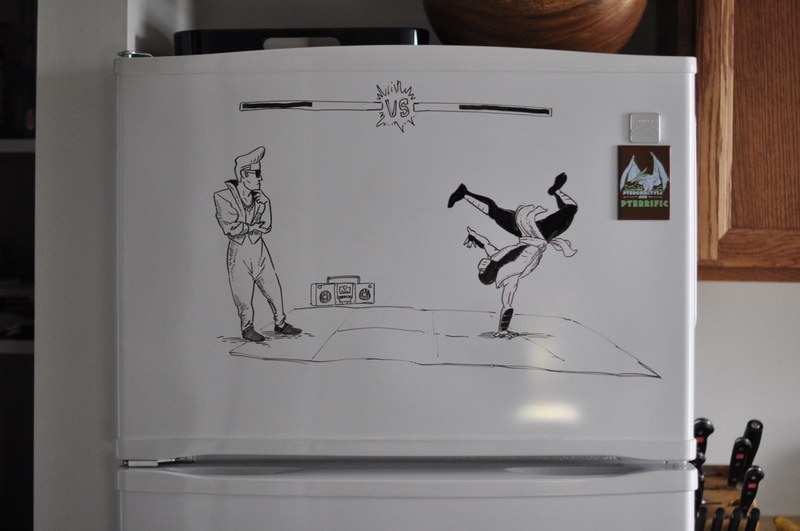 He draws his inspiration from movies, video arcade games and in general the world around us. 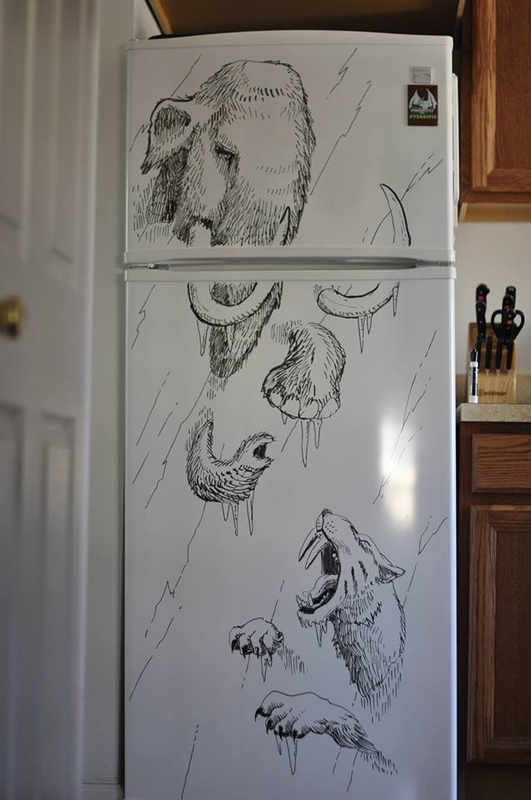 Have a look below, to see what I mean, plenty of subjects that will bring you back in time, hopefully to a happy time. 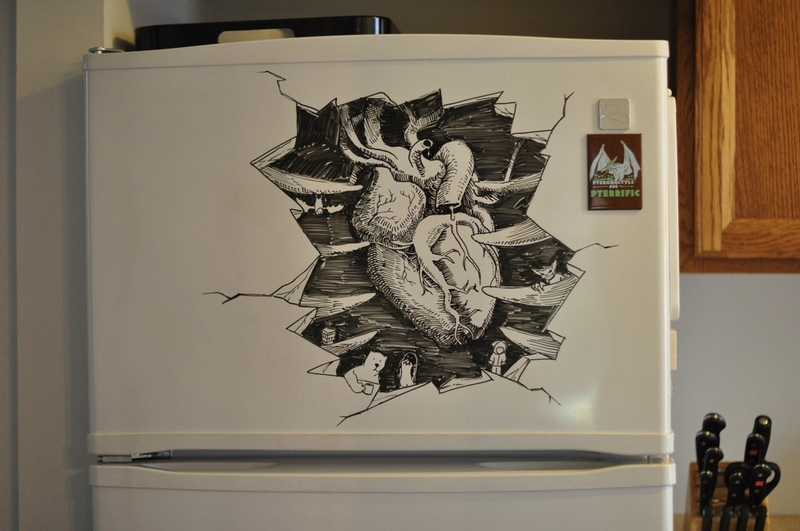 Jason Voorhees - Friday the 13th - Ari Lehman. 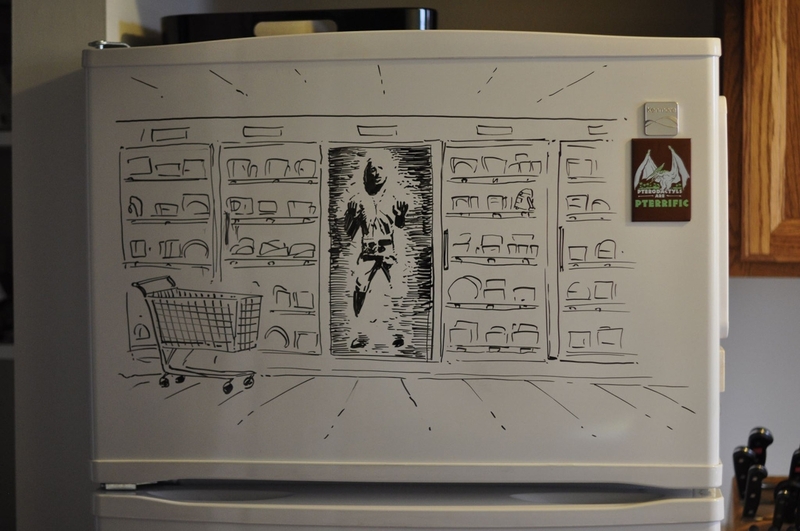 Han Solo in the Frozen Isle - Star Wars - Harrison Ford. 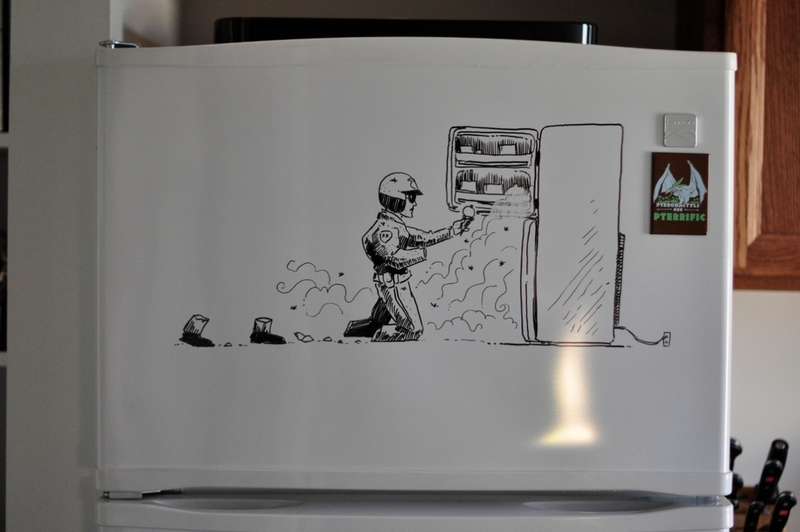 Revenge of the white goods. 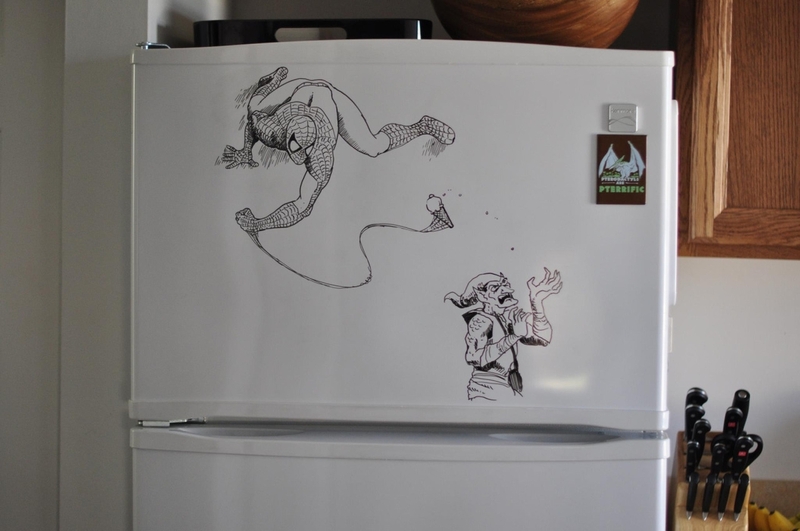 Spider-Man and the Green Goblin.